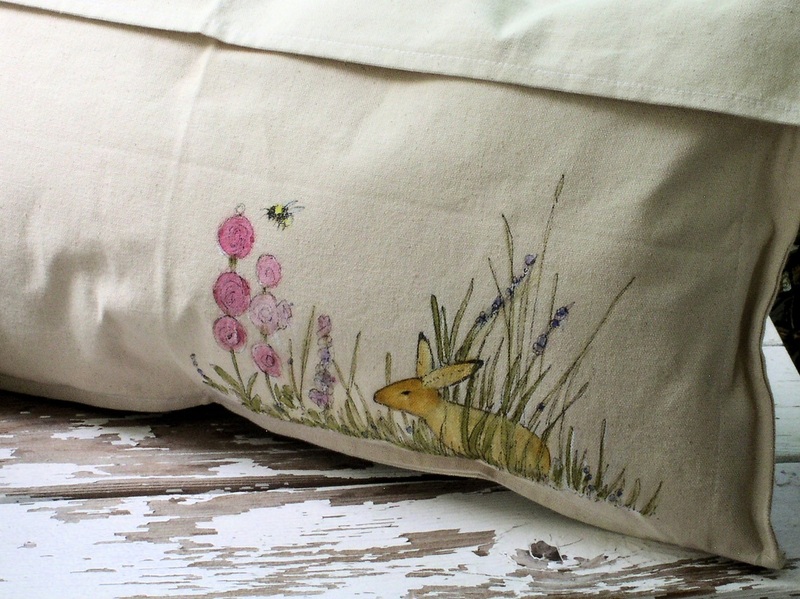 SOLD Painted Pillow Functional Art - Handmade and hand painted with rabbits flowers and bees in the garden. 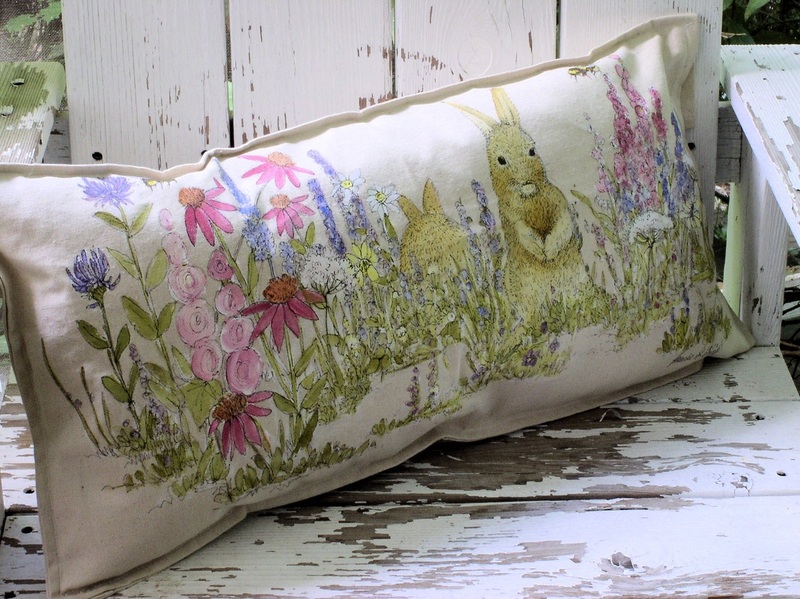 A functional art original, bunny rabbits in the garden is a hand painted pillow with a cottage shabby chic style for garden and rabbit enthusiast to decorate any home decor. Made from cotton canvas is hand painted one of a kind original. 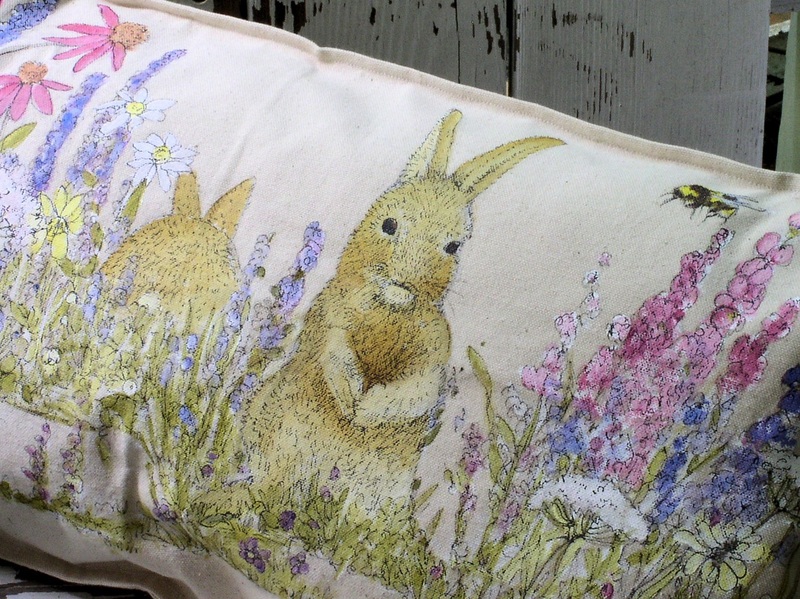 Functional nature art for nursery, bed or to accent any chair or bench in a cottage, farmhouse or lover of bunnies home. The front find a bunny munching with her back to you while a rabbit sits up checking things out. There are flowers and grass all around in blues, whites, purples and pinks. Two bees buzz by. 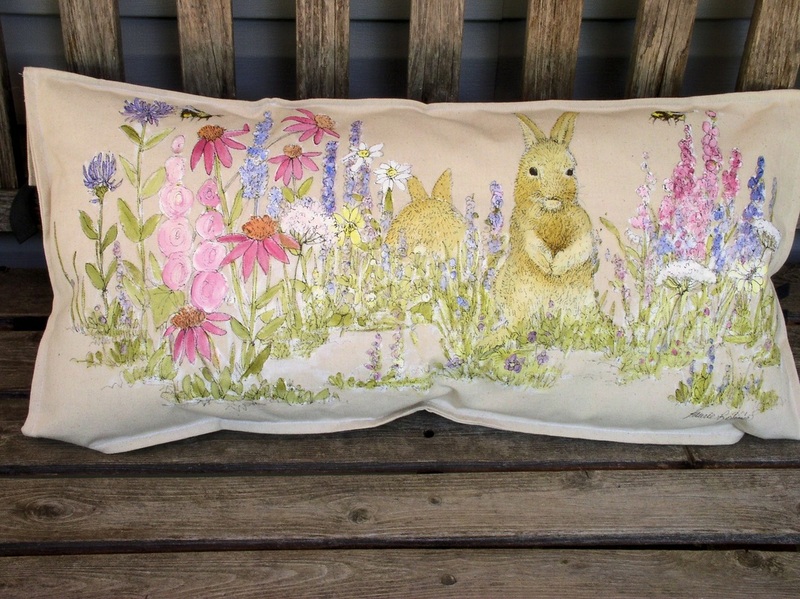 The back is accented with a bunny and flowers.